Place your order by 4 PM EST Today and we will ship it by Wednesday, May 1. Free Shipping. 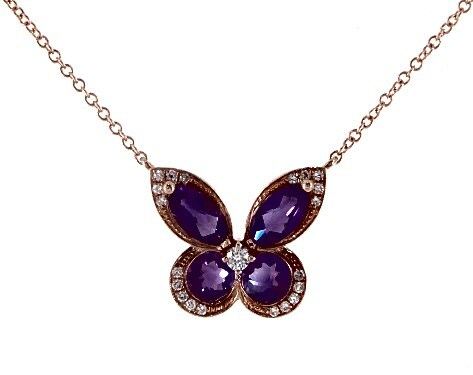 Four gorgeous amethysts and an arrangement of diamonds come together to create a butterfly necklace as intricate and delicate as its namesake.